A baby who is not reaching developmental milestones. A high school student with autism who is struggling to make friends and stay focused in school. An adult woman who is recovering from a car accident. An elderly man who recently survived a stroke. What do all of these people have in common? The fact that they could benefit from an occupational therapy intervention. recovering patients in a hospital’s acute care unit. 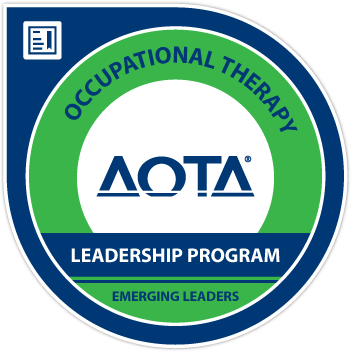 There are traveling OT’s that work all over the country, OT’s who practice and teach in graduate programs and OT’s who do important research for state and federal organizations. Basically, OT’S are everywhere! If you want to know more about pursuing a career in occupational therapy, this free ebook by Abby Brayton-Chung of OT Cafe and Christie Kiley of Mama OT is a great resource that addresses many common questions about the profession, such as pursuing OT as a second career, deciding whether to become an OT or an OTA, and what OTs actually do in practice! Click on the graphic below to check it out. To find out more about what occupational therapy looks like in action, you can watch this video to see occupational therapy’s role in a variety of settings or check out the “Day in the Life of an OT” series on OT Cafe! I am so proud to be going into this exciting, vital and rewarding career field, and I hope you’ll join me as I blog about my journey! Sounds like the world is about to get another awesome OT! Thank you so much, your encouragement means a lot to me! Thanks, Kelly! I hope OT school is going well for you!